Famine has been declared in some parts of South Sudan, where war and a crumbling economy have left 100,000 people facing starvation. 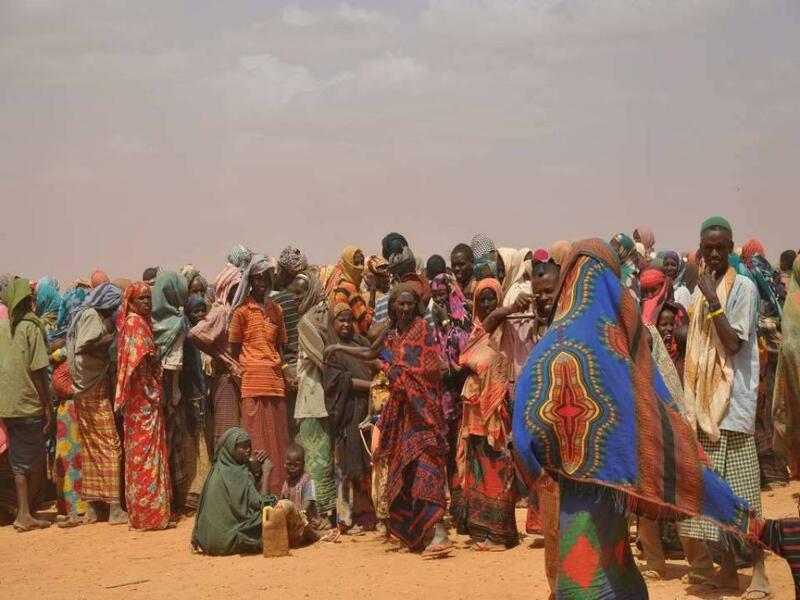 According to the World Food Programme (WFP) and other UN agencies, a further one million people are on the brink of famine. Famine has been declared for the first time since 2011 when more than a quarter of a million people in Somalia believed to have died. About 4.9 million people or more than 40 per cent of South Sudan’s population are in urgent need of food, agriculture and nutrition assistance, according to an Integrated Food Security Phase Classification (IPC) update released today (February 20) by the government, humanitarian organisations, the Food and Agriculture Organisation (FAO) and the UNICEF. Food production in South Sudan was badly derailed by an upsurge in violence in 2016. Moreover, soaring inflation (800 per cent year-on-year) made it difficult for people to procure even basic food items. Going by the IPC update, the number of food insecure people can rise to 5.5 million in July if nothing is done to curb the severity and spread of food crisis. The oil-rich country has been embroiled in a civil war ever since it gained independence from Sudan. The Unity State, bordering Sudan, has been at the centre of some of the most violent skirmishes. War has disrupted the means of livelihood for people, who are predominantly farmers. They have also lost their livestock and farming tools. Calling this famine 'man-made', WFP country director, Joyce Luma, said that despite mounting a humanitarian response of a scale that would have been impossible three years ago, it couldn't achieve its purpose “in the absence of meaningful peace and security”. Out of the 23 counties in South Sudan assessed, 14 have global acute malnutrition (GAM). The UNICEF plans to treat 207,000 children for severe malnutrition in 2017. The UN has warned that three other countries—Somalia, Nigeria and Yemen—could be next in line to face famine. The Horn of Africa has already been struggling to cope with the effects of multiple droughts.